In 2006, Gov. 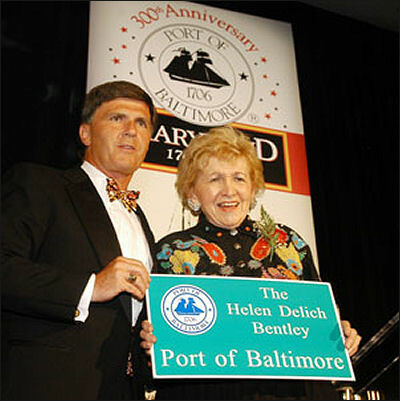 Bob Ehrlich named the Port of Baltimore for Helen Delich Bentley, whom he had succeeded in Congress in 1995 after she ran for Congress. She was crusty to a fault. Outrageously opinionated. Cantankerous. Indefatigable. Unrelenting. Incredibly effective. Helen Delich Bentley was truly sui generis. That’s a Latin term meaning “without a counterpart or equal; unique.” Bentley, who died Aug. 6 at the age of 92, indeed was one of a kind. Where would the Port of Baltimore be without her? For a stunning 70 years she fought like a tiger in every way imaginable to promote Maryland’s biggest and most important economic engine. Her journalistic coverage at the Baltimore Sun of the port created a national and international reputation for Charm City’s maritime business and for Bentley. In the process, she shattered the glass ceiling for female journalists, entering the masculine world of the docks in the 1940s with such effectiveness she become the only female maritime editor and the best-known shipping reporter in the world. 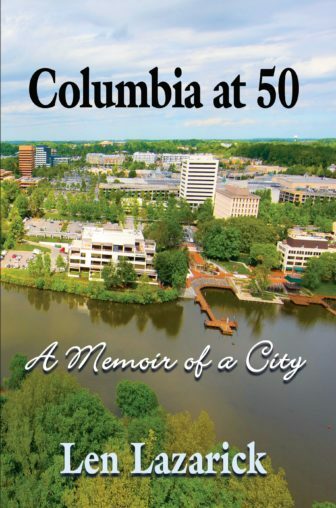 Along the way she found time to write, produce and narrate an award-winning television series about the Port of Baltimore that ran for a stunning 15 years. Bentley could cuss like a sailor, ream out union bosses for threatening the port’s stability and talk turkey to shipping executives about the urgency of maintaining labor peace. She settled more than one strike and gained widespread applause for ending Baltimore’s sorry reputation as the only port where longshoremen refused to work in the rain. Bentley’s political activism nearly got her in serious prosecutorial trouble when she delivered a bag of illicit cash to Republican campaign higher-ups during the Watergate era. She bounced back, though, and ran for Congress against entrenched Democratic Rep. Clarence D. Long, an ardent foe of expanding Baltimore’s port if it meant dumping dredged spoils at Hart and Miller Islands off the coast of eastern Baltimore County in his district. As usual with Bentley, her persistence paid off and she beat Long on her third attempt. She used her time in Congress to bash Japan and Asian nations for their trade policies, pushed hard to gain appropriations for the Port of Baltimore and fought to empower women. Ten years later, Bentley entered the race for governor as the heavy favorite only to lose shockingly in the Republican primary to ideological conservative Ellen Sauerbrey. Bentley, a pragmatic conservative, was pilloried for daring to have worked with Democrats – especially Gov. William Donald Schaefer – to further the Port of Baltimore. Bentley’s anger and bitterness over this betrayal of all she had done over the decades to uplift the state GOP led to severed relationships that were never restored. But again, she bounced back, getting more involved in her husband Bill’s large antique store on York Road and opening a highly successful consulting business where she continued to be an implacable force for the Port of Baltimore. Somehow she juggled conflicting connections to the Maryland Port Administration, shipping companies and local and international labor executives. Now wonder Gov. Bob Ehrlich named the Port of Baltimore after Bentley. It was an unexpected honor richly deserved. I first encountered Helen when she was winding up her newspaper career and I was starting mine. She would rush into The Sun’s city room close to deadline like a Nevada cyclone, a whirlwind of passion returning from the docks with a hot story to pound out on her typewriter and a maritime section to oversee. Never pausing to take off her hat – a cross between a Mexican sombrero and an Easter bonnet that was made to impress – Bentley started screaming at her staff in her usual scatological way, sending some scurrying while others simply returned her epithets. It was a daily sight to behold, especially for a naive reporter unused to the Bentley phenomenon. Over the years, I got to know Helen quite well, covering some of her political races and interviewing her frequently after I joined the editorial page. She was always fun to interview and always full of frank, pointed opinions. Helen Bentley also had a soft and endearing side. While she could be infuriatingly brutal with her staff, she could be touchingly sweet to them moments later. She was, indeed, sui generis. Even in her final weeks, Bentley continued to defy predictions, hanging on relentlessly like she always did. I visited her with one of her closest friends, David Blumberg, within the past month and found her as feisty as ever. “What do you think the expanded Panama Canal means for business at the Port of Baltimore,” I asked Helen. “Not a damn thing,” she acerbically replied. Bentley never beat around the bush, even while battling brain cancer. Soon afterward, to my surprise, a letter appeared in The Sun from Helen voicing full support for Republican nominee Donald Trump. She never stopped pushing the ball forward, even while in hospice care. The Port of Baltimore never had a better friend. Helen Bentley accomplished so much in so many ways. Baltimore and Maryland are the recipients of her largesse. Her lighthouse may have been decommissioned, but her deeds stand as a permanent reminder of what she gave us. Barry Rascovar’s blog is www.politicalmaryland.com. He can reached at brascovar@hotmail.com.